Aquaculture is a big focus area for Science for Nature and People Partnership, an ongoing research collaboration of UCSB’s National Center for Ecological Analysis and Synthesis, The Nature Conservancy and Wildlife Conservation Society. Aquaculture is the fastest-growing food sector in the world. As the fastest growing food sector on the planet, aquaculture is becoming key to the sustenance of a booming global population and its increasing demand for protein. But if fish farming itself isn’t sustainable, the practice could harm the very ecosystems it’s meant to help. 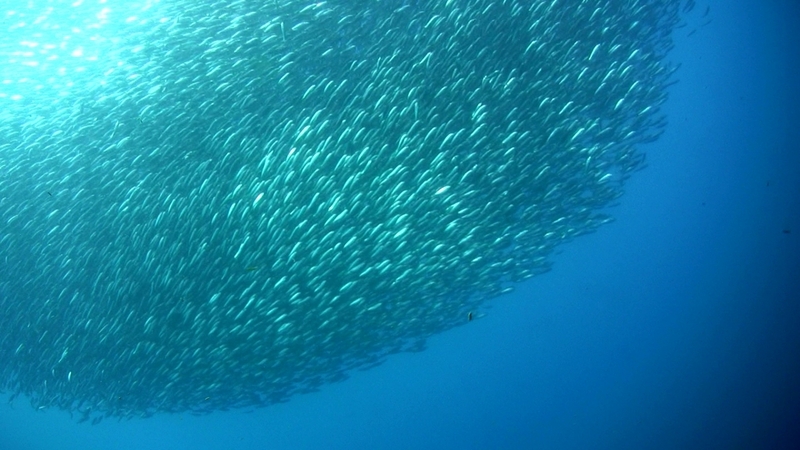 Hoping to guide offshore, or “open-ocean” aquaculture toward sustainability is a central endeavor of SNAPP: Science for Nature and People Partnership, an ongoing collaboration of UC Santa Barbara’s National Center for Ecological Analysis and Synthesis (NCEAS), The Nature Conservancy and the Wildlife Conservation Society. It’s also the subject of a special SNAPP event, “Aquaculture: The Future of Sustainable Food,” March 20, at the California Academy of Sciences in San Francisco. “This is a great opportunity to understand what we do and don’t know about the sustainability of different aquaculture practices, as well as the opportunities and challenges in aquaculture growth for the future,” Benjamin Halpern, executive director of NCEAS and co-lead of SNAPP’s aquaculture working group, said of the occasion. “The ultimate goal is to steer the industry to the most sustainable places so that as this massive growth occurs we can make sure it’s as sustainable as possible. “We can make a big difference in how this food sector grows to feed the increasing? dietary need for protein in a sustainable way,” added Halpern, who is also a professor with UCSB’s Bren School of Environmental Science & Management. Using SNAPP’s work in aquaculture as a concrete example of it mission, the event also serves to highlight the partnership itself, as well as its remarkable success just four years in. Launched in 2013, the still-young organization has made crucial contributions to issues as varied as emphasizing green infrastructure in coastal protection strategies and policies and banning ivory trade in China. By bridging research and application — and teaming scientists with practitioners, Halpern said, the unique initiative is “changing the understanding of science and changing the practice of conservation on the ground. “Action without science is not great because bad decisions can be made, and science itself has great value but doesn’t necessarily translate into action,” he explained. “The partnership stitches together the science and the action in a really efficient way. The synthesis model we use at NCEAS is such a powerful way of addressing science and finding answers, but we’re not an implementation organization. With SNAPP we said let’s take this powerful model and combine it with a vast network of on-the-ground practitioners in partner organizations to connect the science to solutions. From two working groups in its founding in 2013, to six working groups by mid-2014, to its current roll of nearly 30 working groups, SNAPP has been on a tear, in the very best sense. Funding between three and five new working groups each year, SNAPP’s reach is ever-expanding, annually adding to its roster some 400 experts from a diverse array of fields. The partnership today is examining everything from soil management and hydraulic fracturing to climate-driven drought, climate communications and landscape connectivity in India. There are teams looking at compensatory conservation, data-limited fisheries, fire research and ecosystem services. One working group is addressing the shared goals of faith and conservation. With a shared aim of developing solutions at the intersection of nature conservation, sustainable development and human well-being, Halpern said, they’ve all got their eyes on a single prize.